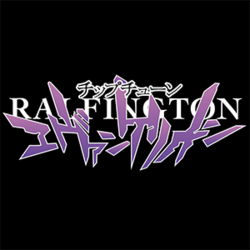 Ralph "Ralfington" Edward is a video game and anime music remixer, DJ, and producer. Having worked with Dj Cutman on his very first EP "Remix Default" back in 2014, he has earned his spot as one the newest artists for Dj Cutman's music label GameChops. Since then, Ralfington has produced numerous remixes of video game music including a theme from Pokémon ORAS, Splatoon, Undertale, and most recently Phoenix Wright: Ace Attorney. He has also made a handful of anime music remixes as well including Nanatsu no Tazai (The Seven Deadly Sins), My Love Story, and Kantai Collection. Upon recognition from his success, he has played and performed exciting and fun DJ sets at shows and conventions throughout the past two years, from video game conventions like MAGfest in MD, ScrewAttack Gaming Convention in TX, and TooManyGames in PA. Currently working on new tracks for their new sub-label JōZU Music, he'll be bringing in some new and unique remixes that focuses on anime music, funk, and J-pop!